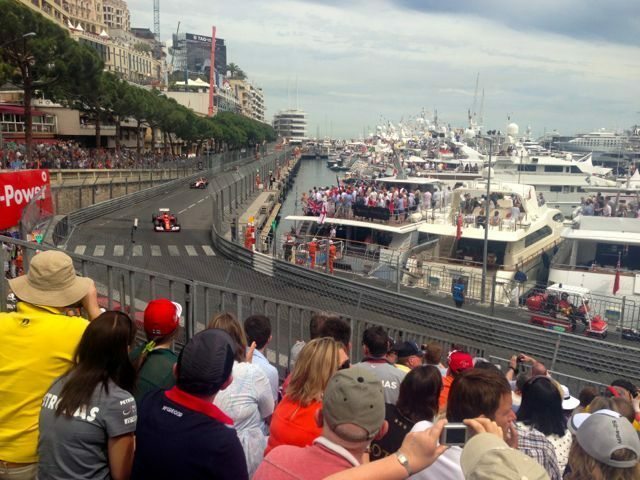 Going to the Monaco F1 Grand Prix has been a dream come true. I pinched myself about 76 times during the day to make sure I was really there. As far as major events go, it doesn’t get much bigger. It certainly doesn’t get any more glamorous. 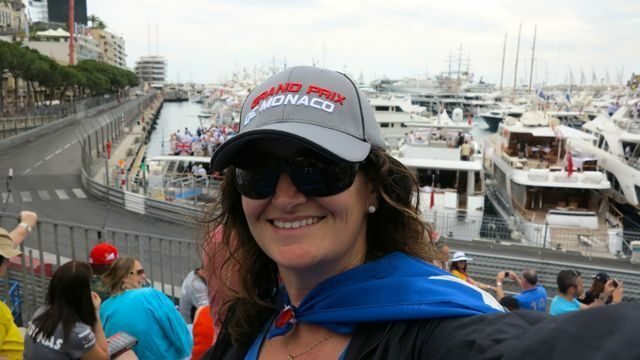 Yet, it was so easy – smooth sailing from Nice train station with very organised system of tickets and frequent trains. 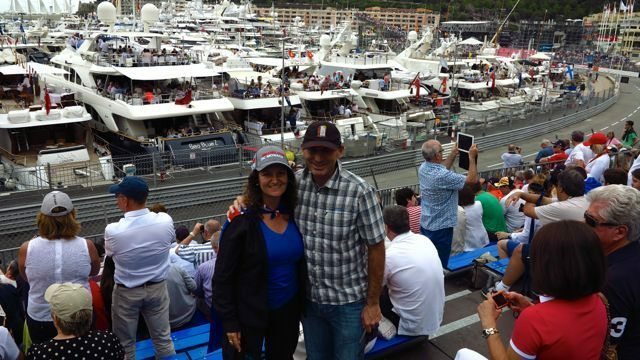 I didn’t even have to queue to pick up our K1 grandstand seats from the ACM – the Automobile Club of Monaco. 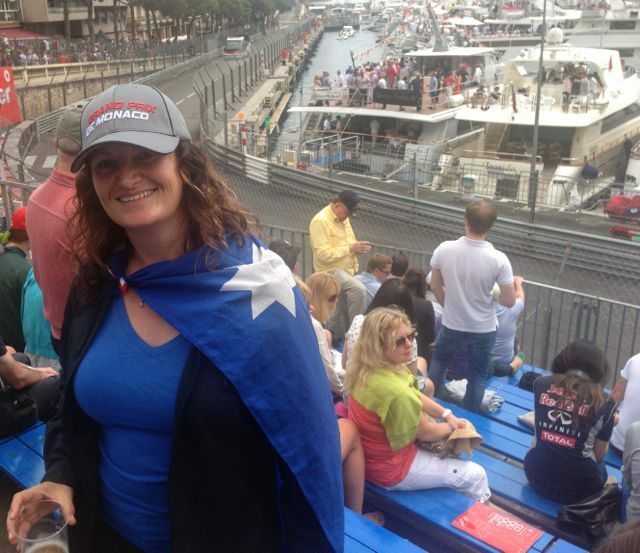 Having read several F1 forums, they all said buying tickets direct from the ACM was the best, cheapest (if you can call tickets that cost A$708 each cheap, what an oxy moron), and easiest to pick up. They were right. 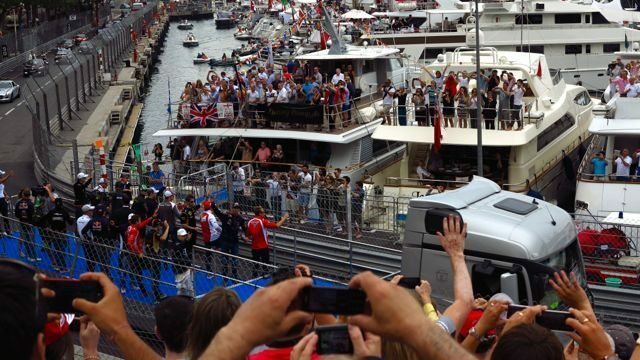 They were also right to recommend Grandstand K1, on a corner out of the tunnel, facing the harbour with the party people on billion dollar boats. 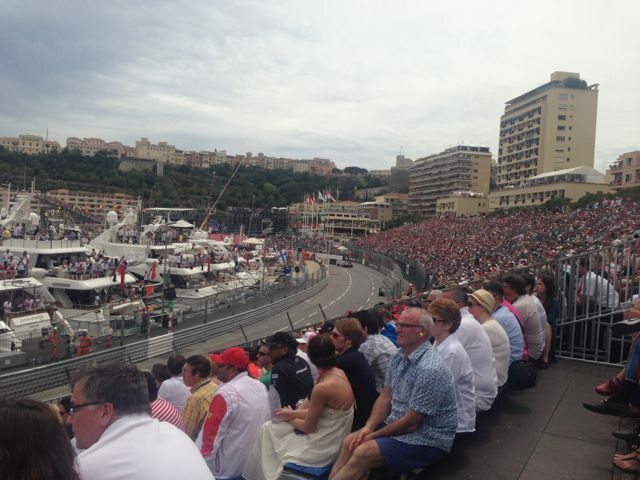 A guy sitting behind us from London who goes to Monaco F1 every year said that K1 is the best grand stand for the track view and speed. Just downstairs from the grandstand was a bar selling pints of Heineken for 8 Euro, or about A$12. Pretty good price I thought given we were in Monaco and at the F1. We pay that in Perth on a normal Tuesday. The atmosphere was electric. 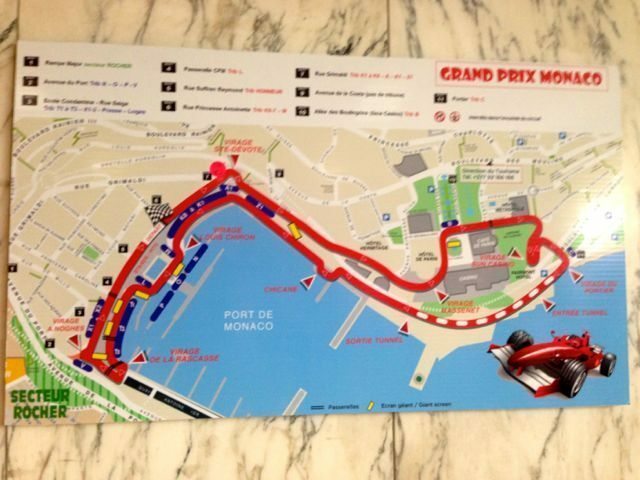 Everywhere in Monaco were bars, cafes, merchandise stands, and stages for the entertainment after the race.